You spend days shopping for the perfect new bedroom mattress, ship it home, set it up on your bed frame, and unwrap it. Then, the smell hits your nose. It’s some sort of “cleansing” chemical that instantly begins to give you a headache. 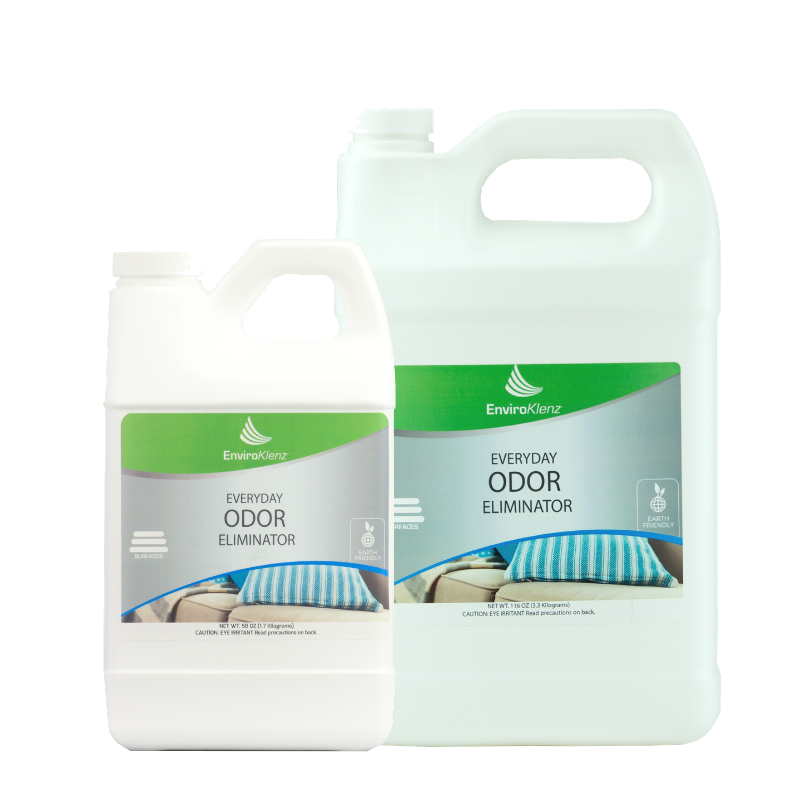 Normally, something as large as a mattress seems impossible to clean with a liquid hand-held product, but not with the EnviroKlenz Everyday odor eliminator. Normally, removing chemical odors from carpeting and hardwood flooring involved week of airing out a home with the hopes of bringing down the concentration of VOCs. 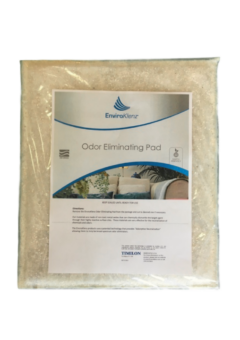 Many carpets professional will tell you that it is nearly impossible to remove “new carpet smell” but with the EnviroKlenz Everyday odor eliminator, you can now clean and deodorize new carpet smells and odors from your home. SKU: N/A. Category: Everyday Odor Eliminator. They say not to cry over spilled milk, but if you’ve ever spilled it on carpet or upholstery you know it can be a tear-inducing smell. 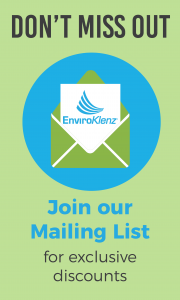 Our daily lives are full of messes and EnviroKlenz is passionate about eliminating the odors that come along! Our well-loved Source Odor Treatment safely and effectively neutralizes unpleasant aromas in your home, car, or office for an odor-free living! It can be used on water-safe surfaces and is designed for use on, including carpets, fabrics, some upholstery, and other water-extractable surfaces. It destroys stubborn odors from pets, children, spills, and other causes deep down, eliminating them at the chemical source. 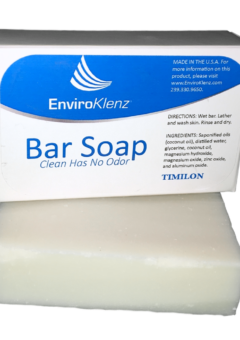 EnviroKlenz Source Treatment is specially formulated to provide maximum neutralization and odor extraction by capturing, destroying, and eliminating offending odor sources safely and effectively. Klenz filled by weight. There is enough space left in the bottle to allow the user to shake well before each use. For non-source (residual) odor treatments, diluted product (4 parts fresh, clean, warm water to 1 part EnviroKlenz) can be sprayed on or directly applied for up to 500 feet of light to mild odor neutralization. Vigorously shake the container for 30 seconds to mix the compounds before each use. Apply the product either directly to the surface undiluted or dilute before applying to the area. When directly applying onto the surface undiluted, be sure to work it deep into the surface. Pour fresh, clean water over the EnviroKlenz Source Odor Treatment area until saturated and apply pressure. Allow the product to sit for 15 minutes before wet extracting the treatment area using fresh water. Repeat the drying and cleanup process 2 to 3 times to remove all visible residue. When directly applying onto the surface diluted, the easiest application is to use a spray bottle with 1-part EnviroKlenz Source Odor Treatment to 4- parts fresh, warm water. Spray directly on the surface (if a visible residue is left on the surface you can wipe it up with a towel or rag). Only perform the odor elimination on non-delicate surfaces. Do not use on surfaces that should not be exposed to water. Do not use on areas that are contaminated with other cleaning agents. Do not use household carpet shampooer to apply. Remove other products from treatment area prior to OdorKlenz use. Always vigorously shake the container for 30 seconds to mix compounds (diluted or undiluted) just before each use. Test EnviroKlenz on an inconspicuous area for colorfastness or other surface effects. 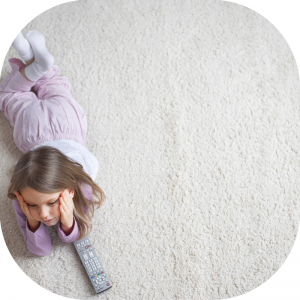 The EnviroKlenz process may leave a white residue that can be removed with repeated brushing, vacuuming, and/or wiping. Always apply or spray onto the surface directly. Professional carpet extraction equipment is recommended to remove excess water and residual EnviroKlenz. 1) Vacuum up any loose debris from the area to be treated. 2) Wet the area to be treated with clean, warm water. 3) Using your vacuum or carpet extractor’s wet extraction capabilities, clean the area 2-3 times, leaving the area damp. 4) Pour EnviorKlenz on the treatment area. 5) Spread the EnviroKlenz into the area working it deep into the carpet completely. 6) Pour fresh, clean water over the EnviroKlenz treated area until saturation. 7) Apply pressure to the area. 8) Allow the EnviroKlenz formulation to remain on the area for 15 minutes. 9) Wet extract the treatment area using fresh water. 10) Use additional fresh water and agitate between extractions. 11) Repeat the drying and cleanup process 2-3 times to remove all visible residue. 1) Vacuum up loose debris from the area to be treated. 2) Remove other debris by blotting the area with a wet towel. 3) Soak the treatment area with clean, warm water. 4) Rinse the towel and soak up any excess water leaving the area damp. 5) Pour EnvitoKlenz on the prepared area. 6) Spread the EnviroKlenz into the area, working it deeply into the carpet. 7) Pour fresh, clean water over the EnviroKlenz treated area until saturated. 8) Apply pressure to the area by standing/walking on the treated area. 9) Allow the EnviroKlenz formulation to remain on the area for 15 minutes. 10) Use a clean, absorbent towel to soak up any excess water. Repeat 2-3 times to aid drying. 11) Allow the area to completely dry. Note: It may take 24 hours or longer for the area to be completely dry. 12) Once dried, vacuum up the residue. Brushing the area can aid removal. Vacuum until residue has been completely removed by visual examination. The same basic process as for the carpet can be used. One significant advantage is that both side of the rug can be treated if necessary. In that event, treat one side completely, then repeat the process on the other side of the rug. Synthetic fibers may require additional contact time with the OdorKlenz. If it is a small rug and can be placed inside a small bucket or container, you can fill the bucket with enough warm water to fully cover the rug, then add the EnviroKlenz product (about ½ cup per gallon of water), mix the water and EnviroKlenz, then submerge the rug. Periodically provide some agitation. Let it soak for 24 hours. Always test the surface for colorfastness. The product is best used on upholstery when diluted at a 1:1 ratio with fresh clean warm water. The product can be dabbed on the affected area with a clean cloth or sponge, or sprayed via a pump sprayer. You want to achieve a thin visible coating of the EnviroKlenz product. Let it sit for 15 minutes, then extract out with a water extractor and fresh water. Allow to air dry. If the item is machine washable, you can wash/rinse it to remove the EnviroKlenz. Depending on the odor contamination level, you can either use diluted or undiluted product. If the odor is strong use a more concentrated amount, for mild odors the product could be diluted 1 part EnviroKlenz to 4 parts fresh, clean, warm water. Pre-clean the area by removing as much physical debris as possible. Soak up any excess liquid, if applicable. Slowly pour about 1 cup of the EnviroKlenz (diluted or undiluted) directly onto the site(s) of contamination and allow it to soak in for about 5 minutes. Add an additional ½ cup of EnviroKlenz. After about 15 minutes soak up the excess water and allow to dry. Once dry remove any visible dried EnviroKlenz by brushing it with a dry cloth or towel before lightly vacuuming. 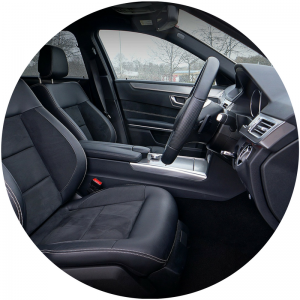 Car interiors have a variety of surfaces and each type may need to be managed separately. Test each surface type for ease of removal before applying the product to the whole surface. EnviroKlenz typically does not damage surfaces, but it can be difficult and time-consuming to remove, especially from porous or textured surfaces. Remove floor mats and any other surface that can be treated more easily outside the vehicle. Vacuum the vehicle to remove as much physical debris as possible. For the hard surfaces use diluted EnviroKlenz at a ratio of 1 part EnviroKlenz to 4 parts fresh, clean, warm water. Apply a light, but visible coating to surfaces using a clean towel or sponge. For the soft surfaces, make sure you have a water extractor available for removal. Apply EnviroKlenz (diluted at a 1:1 ratio with fresh, clean, warm water) to the soft surfaces and allow it to soak in. Use extreme caution on leather surfaces. Pay particular attention to all surfaces. Odors do linger in the headliner and around the window gaskets and this is especially true for cigarette smoke odors. 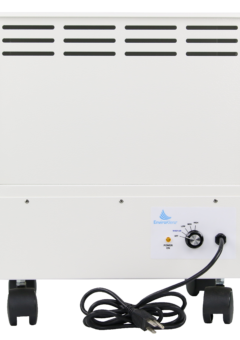 Allow the EnviroKlenz to contact the surfaces for at least 15 minutes. Longer is okay, but you don’t want the product to fully dry as it is easier to remove when still wet. Use the water extractor on all the soft surfaces and uses a sponge to clean up the hard surfaces. Allow the surfaces to dry. You may need to repeat the removal process on certain surfaces. The product can be used on sealed wood flooring or on the subfloor below the wood flooring. Diluted EnviroKlenz (1 part EnviorKlenz to 4 parts fresh, clean, warm water) can be sponged or mopped onto the surface. Please note that EnviorKlenz residing in cracks and crevasses will be more difficult to remove. Allow at least 15 minutes of contact time, but do not allow the OdorKlenz to dry on the surface, as it will be much more difficult to remove the visible residue. Use EnviroKlenz diluted at a 1 part EnviroKlenz to 4 parts of fresh, clean, warm water. Sponge or mop the product onto the tile. Do not allow to fully dry. The residue is difficult to remove from unsealed grout or dark grout. Use clean water to remove via sponge or mopping. It may take multiple steps to fully remove the EnviroKlenz without there being visible residue. The product seems to help. We also purchased the air purifier that seems to be working well. I was having allergic reactions to some oil based paint in my office doorways and after one application of this product the smell went away! I am so happy with this, it worked so well for me! EnviroKlenz answers all my needs. Moved into new condo where new carpeting was offgassing. The Everday Odor Eliminator took care of the problem. I can always depend on these products. I can also depend on the friendly staff to answer my questions and provide just the right solution in every situation. The science behind these products make them unique and guaranteed to work. I won’t use anything else. Highly recommended!!!! Be sure to rinse it off, then rinse it off again, and again. Works! It got completely rid of the dog smell on my bedroom carpet! Impressed. It really eliminates odors! I cannot touch any chemicals with MSC, not even vinegar, lemons, essential oils. I don’t get to clean my house very well except for water and sometimes soap. We bought new supposedly barely any formaldehyde laminate flooring. It was supposed to be one of the healthiest ones out there. First two days of just having it delivered I had severe fatigue, could barely move, and breathing was compromised. Even healthy husband, had eye irritation and starting feeling sluggish. I got worse once installed when we realized that that was making me sick. My mother visited and immediately left with a head. We can’t just afford a new floor so we were at a lost. Found this, ordered it. In 15 minutes I had less chest pain. Next day no sore throat. House smells clean, not like Home Depot anymore. I was able to clean it myself with out help or nerve pain. Not even gloves. I’m a big believe. Con: I don’t know if it’s the product or not, but there is a slight loss of shine to the floor. We are okay with it because I’d rather breathe than have shiny floors. We think the shiny might even be a chemical, because you revive that shine I would have to buy a chemical product. We are fine with the compromise but will be asking customer service is there is a way to make the floors look less filmy or dull. It’s not obvious to anyone but us, and it doesn’t bother me. It did the same thing the first time husband tried to wash a portion with vinegar initially, which didn’t remove any chemical smell. I used this on my new bookshelf and it completely got rid of the VOC smell! I used it on two new 7 x 10 rugs. times. But worth every minute. Our dog is getting up there in age and had an accident on our most expensive area rug in our home. I paid 3 different services (all non-toxic) to try to clean and remove the odors but none of them were successful. I ran across this product on Amazon and called the company to see if this would actually help. I was assured it will remove the odors or my money back, as you can imagine I was skeptical but desperate to salvage our rug. The product was easy to use bit did have to be shaken very well in order to dilute, and after I applied and let sit for about 30 minutes I can notice a change to the odors. After working it in and sucking it out with a shop vac the odor was completely gone and best of all no fragrances!! I am so glad that I found this product, we purchased an apartment that had new carpeting and the previous owner kept a stash of fragrant product in a closet that drove my allergies wild. We applied the product on the carpeting and used on hand held extractor to get it out. With an hour I could notice a huge difference and by the next morning, I was able to get rid of 90% of the chemical smells in my apartment. It is a shame that I couldn’t charge my landlord but he to was impressed with this and promised me he will use it on his other apartments. First, thank you so much for suggesting Enviro Klenz and having some on hand for Ken and I to use. Secondly, wow….this product is more than amazing. The Enviro Klenz products completely removed all odors in our condominimum within hours. There is a hallway along the living room that had the spill and cleaning chemical placed on it. Every time we walked down the hallway a breeze hit the chemical and a terrible odor emitted from it. After using your products one time the smell was gone. We are so very thankful. I have not yet ordered more granules but I am definitely going to get our son the product. He has a black lab that on occasion gets sick. He has complained about the smell. I think I have his solution…Enviro Klenz. I was amazed at how well our wool carpet looked after the cleaning. I thought it gave the carpet a perk as well. I purchased a new car for my son at the local BMW dealership. I wouldn’t say he s chemically sensitive but he does have his moments when he drove the car home the first day his eyes were red and had a really bad sore throat. Each day that he drove the car it got worse so I needed to have it detailed but no one knew of a product that I could use that wouldn’t add to his problem. I purchased this gallon after my own research and decided to clean the car myself. I will be honest it wasn’t easy at my age to use an extractor and clean it out but I can say with 100% honesty that this stuff flats out works!! My son was driving around town that very night and hasn’t had issues since. We recently had mold in our home and had the entire home remediated for the mold but for some reason, my favorite piece of furniture still reeked of mold. The contractor assured me there was no mold on the couch and that I can salvage it by using EnviroKlenz for the odors. I was shocked that something that is pretty inexpensive could remove the mold smell after one application. This couch held true sentimental value for me so it was important for me to keep it and thanks to EnviorKlenz I can. I moved into an apartment that was completely redone by the landlord who promised me that everything was low VOCs and eco-friendly since I have MCS. Wrong, the carpets reeked so bad that my head would spin the moment I arrived. I used this cleaner with the EnviroKlenz air purifier and was able to move into the home with 3 days of having carpets cleaned and system running. This may not seem fast buy going by my reactions I am super impressed. I have a senior dog who’s having frequent accidents and really needed something to help me address the problem on my carpets. 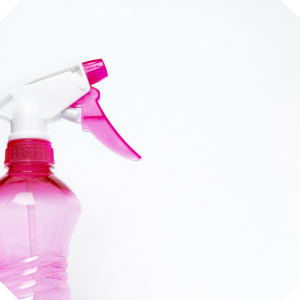 I tried using a spray bottle, but was having a difficult time dispensing enough product to cover larger areas, so I acted against the advice of the manufacturer and used it in my steam cleaner. And it worked great. I mixed it with carpet cleaner and had good results. Not only did it help lift the urine stain, but also helped eliminate the odor. I will continue using this to hopefully eliminate the odor completely. I have been trying to find some type of environmentally safe cleaner to deodorize my crept. I have used several other products whose names I will not disclose and thus far, this one has been the best. This is truly a great find. I can’t wait to see what other products this company has to offer. Got this cleaner to use on my carpets and floors – I have a couple of dogs and they are always messing up my floors so I wanted to find something that was non toxic and I also like that it is fragrance free. I try to keep it as simple as possible and EnviroKlenz fit the bill! I tried it a couple of times and it is easy to apply and work with. I felt that this was a better alternative to a Febreeze type cleaner which i have found leaves a sticky residue on my furniture and rugs. EnviroKlenz did not do this and wiped away clean, leaving no residue. Odor Free – It truly is odor free. I hate having strong chemical smells lingering around the home, especially since I have a baby and baby’s have underdeveloped immune systems. Chemical Free – I love the fact that it is also non-toxic especially since I have a 10-month-old who can’t stay still. I don’t have to worry about whether or not using products with chemicals could be an irritant to her if by chance the product was to come in contact with her skin. Staple product -I also like the fact that this product works as advertised. I know there will be plenty of times where I will be reaching for this product in the future when my baby gets old enough to cause spill food and drink. Cost -The cost can be a deterrent. It is a pretty steep price to pay for cleaner, however I believe that the size of the container this cleaner comes in comes in offsets the cost. Cleaning time – When you don’t have a carpet/upholstery cleaner, It takes a lot of elbow grease it takes to clean up stains and ensure cleaning solution is not left. This is the kind of time that is hard to find when you’re a new mom. We have 4 cats and 1 house bunny. I’ve been looking for a product that really works. I’m very happy that it is “earth friendly” and safe for my pets. We used this to clean our carpets, clean out all litter boxes, mop our floor and as a quick clean anytime a pet has a little accident. It has a very pleasant smell that is not overpowering. We had some visitors and they were really surprised that we have that many house pets. They claimed it smells like we have no pets at all. We also have a lot of small grandchildren that come to visit and this is handy to clean up after their messes and accidents.